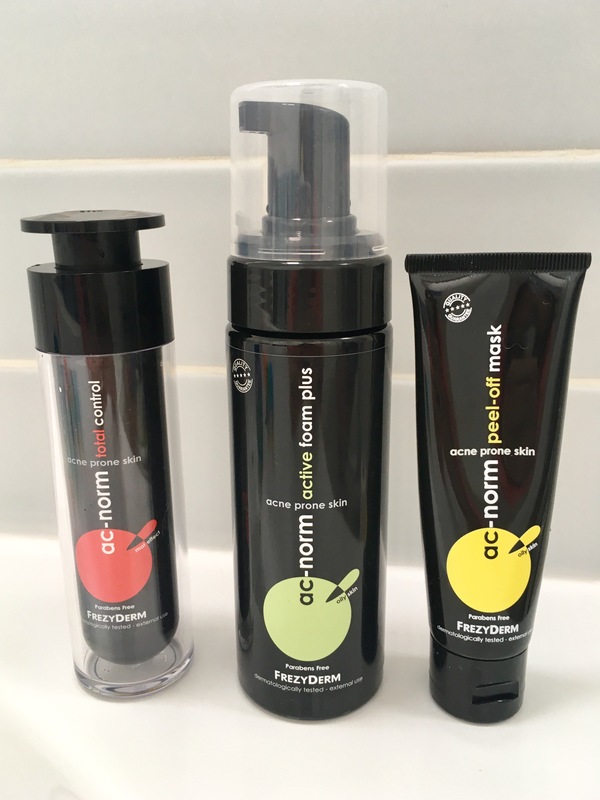 Review of Frezyderm’s AC-Norm Skincare range designed for acne sufferers. Frezyderm is a Greek skincare company that is popular in Europe. Their skincare was initially marketed at dermatologists but is now available to the public. Frezyderm is best known for the Velvet Touch sunscreen, that I wrote about in my sunscreen post, it’s the most comfortable sunscreen I’ve ever tried. Frezyderm’s dermatological approach really appealed to me. I was keen tosee if the rest of Frezyderm’s products lived up to this marvellous sunscreen. They were kind enough to send me some samples of their AC-Norm range for me to try out. I’m an acne sufferer, despite being 37 years old and trying everything in creation I’m yet to find an absolute cure for my cystic spots. 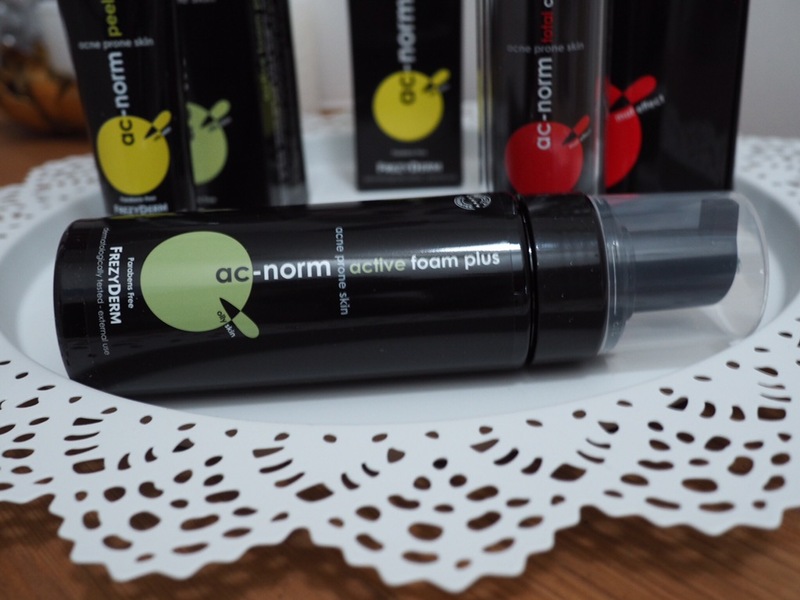 The AC-Norm range promises excellent transdermal delivery, quick action and non comedogenic formulas for mild to severe acne. There is a full range of moderately priced products, which you can check out at Frezyderm.com. Do you know how many skincare lines designed for acne prone skin actually contain ingredients known to irritate and dry the skin. Acne skincare needs to be gently exfoliating and soothing. Harsh cleansers containing microbeads or coarse scrubs will damage the skin’s protective mantle and make acne worse. Frezyderm offers such gentle targeted skincare, lets see if it lives up to it’s claims. The packaging is quite masculine, I think, glossy and black. It doesn’t exactly blend in with the rest of my products. That, I can deal with. Frezyderm products come in pumps and tubes, a better choice for skincare packaging than tubs or jars as active ingredients will degrade in air. I actually really enjoy using this mask. It’s so satisfying peeling it off and my face feels extremely smooth and clean afterwards. 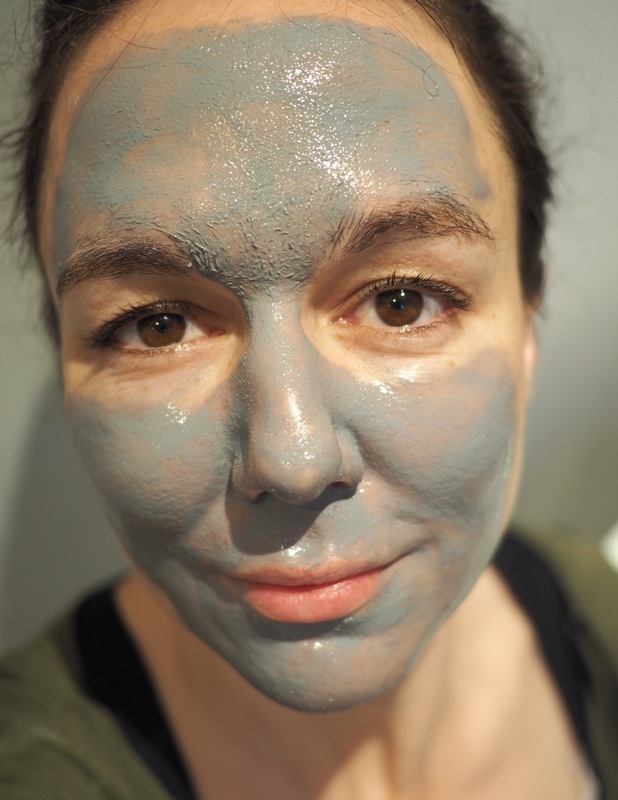 It’s not one of those masks that removes all the sebaceous filaments, WHICH IS A GOOD THING! It just takes of surface dirt and dead skin to leave supersoft skin, and Frezyderm peeling mask is immensely satisfying. Frezyderm Active Foam plus foaming cleanser with active ingredients. It comes in a black pump bottle. It has a fresh sort of medicinal scent. It leaves my skin feeling clean and not tight. I have an issue in that it contains Sodium Laureth Sulphate. It’s not at the top of the ingredients list but I’d still rather it not be there at all. I’m trying to steer clear of foaming cleanser as I worry they are irritant. While Frezyderm Active Foam Cleanser feels fine and I love that it contains active ingredients like Zinc, I’d feel more comfortable using it if it didn’t foam. Frezyderm also does a gel to milk cleanser that sounds good. Again, this has slightly macho packaging. AC-Norm Total Control cream is green in colour, the greenness isn’t visible after it’s been applied though. I was wondering whether it had some colour correcting effects. The cream feels moisturising but not greasy. Frezyderm Total Control is rich in acne bashing actives and low in spot causing nasties. It smells like the very devil though, it’s difficult to describe- a bit planty? Total control contains some really interesting and proven actives- niacinamide and salicylic acid are mainstays of acne treatment and Bakuchiol sounds like a really promising natural alternative to harsh retinoids. Total Control was a pleasure to use (apart from the smell) and did seem to help with blemishes. It’s hard to find a non greasy moisturiser that will nourish and support skin whilst treating acne, this is a great choice. Out of the three Frezyderm products I have tried, I would recommend the AC-Norm Total Control cream. It has a great list of actives that can really help treat and prevent spots. The peel off mask was really fun to use and left my face feeling extremely clean and smooth but not dry.